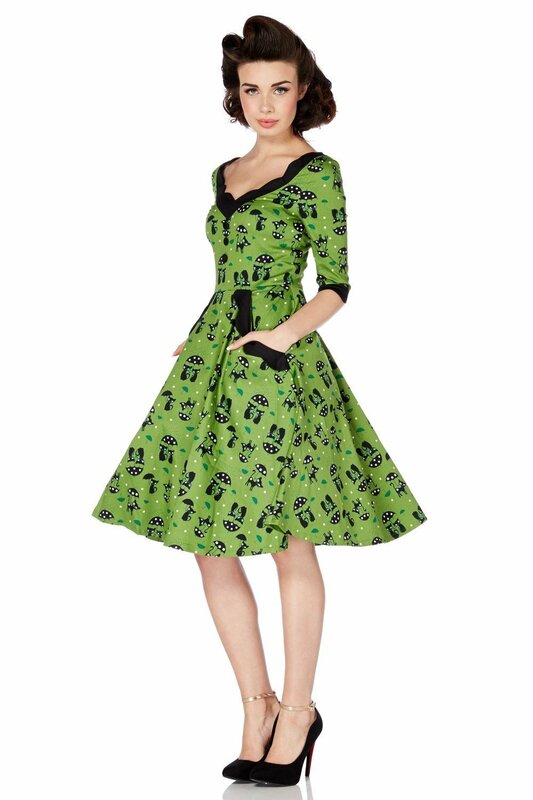 I wanted to show you these cool cat-themed retro dresses from Voodoo Vixen. I'm starting to think about my in-between summer and fall wardrobe, and might pick up a dress or two myself. The Katniss wiggle dress might be perfect for Corpgoths and office professionals. Voodoo Vixen also offers the Katniss print in a skater dress style. This is the Katniss Blue Raining Cats skater dress. I love the trim on the neckline and sleeves! Here's the blue cats dress as a wiggle dress. 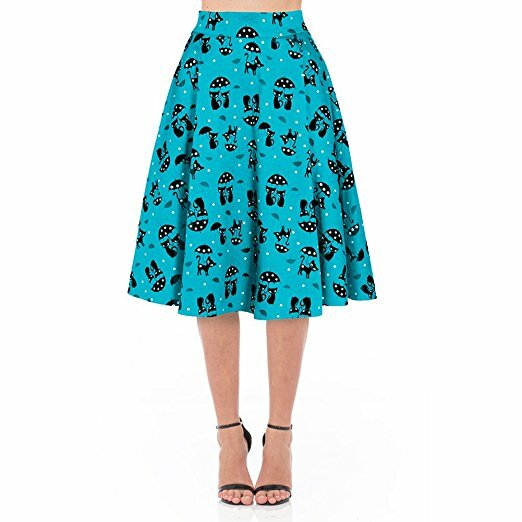 You can also get the blue cats print in a skirt. Around the holiday season, you might like wearing the Raining Cats dress in red. 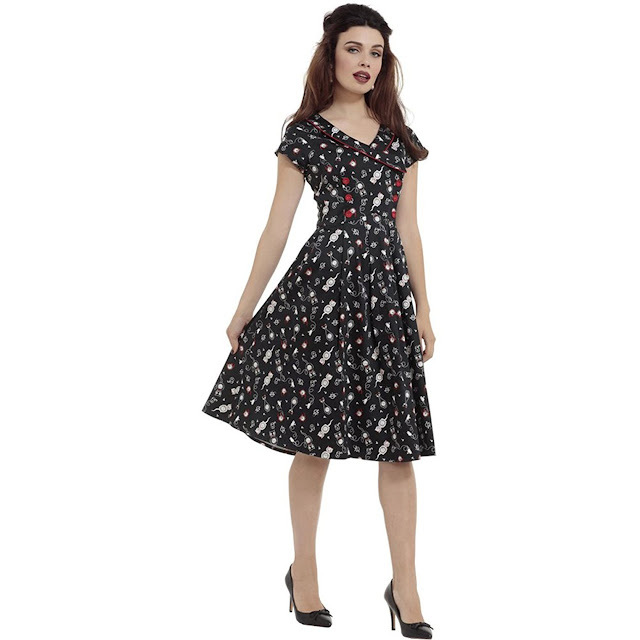 The last cat-themed Voodoo Vixen dress I wanted to show you is their dark Clockwork Cats flare dress. Great for autumn!